Jazz star Peter Long joins Jools in the studio, playing live and discussing his ambitious new album "Jazz Planets", a tribute to both Gustav Holt and Duke Ellington! 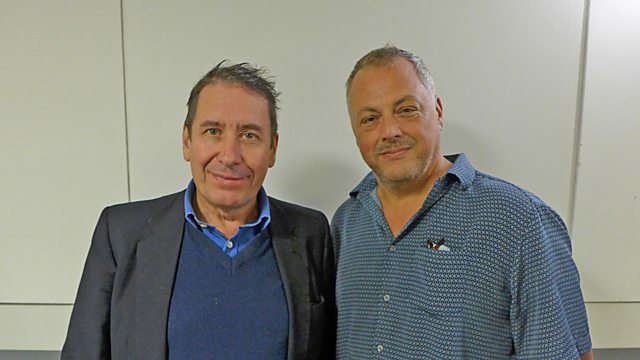 Jools is joined by Peter Long, the musical director of the Ronnie Scott's Jazz Orchestra, who'll be playing live with the band, and discussing his new record "Jazz Planets", a fantastic tribute to Gustav Holt and Duke Ellington! "Ellington and Holst share the ability to pull off the same clever trick. Both composers use a very high degree of sophisticated harmony and rhythm, but have the ability to infuse the whole thing with a high level of humanity with their incredible abilities as melodists. Without this and the extra magic ingredient of genius, listeners would be turning off in droves. Ellington is regarded as the pre-eminent American composer of the twentieth century. His music transcends mere jazz by dint of its extended forms, open structures and unique symbiotic orchestration. Only a credo as massive as his could take on the weight of Holst’s masterpiece and provide the method for translating it into something other. " The Pure Essence Of New Orleans R&B.